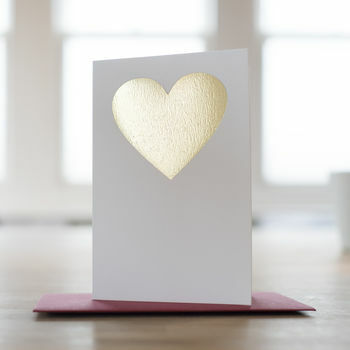 A luxurious, hand-pressed gold heart card, a perfect way to celebrate that special someone. Crafted using only the finest cardstock, this beautiful token of your affection is sure to stand out incorporating a hand-pressed foil heart in radiant gold. This metallic heart card is perfect to declare your feelings to loved ones, any time of the year. 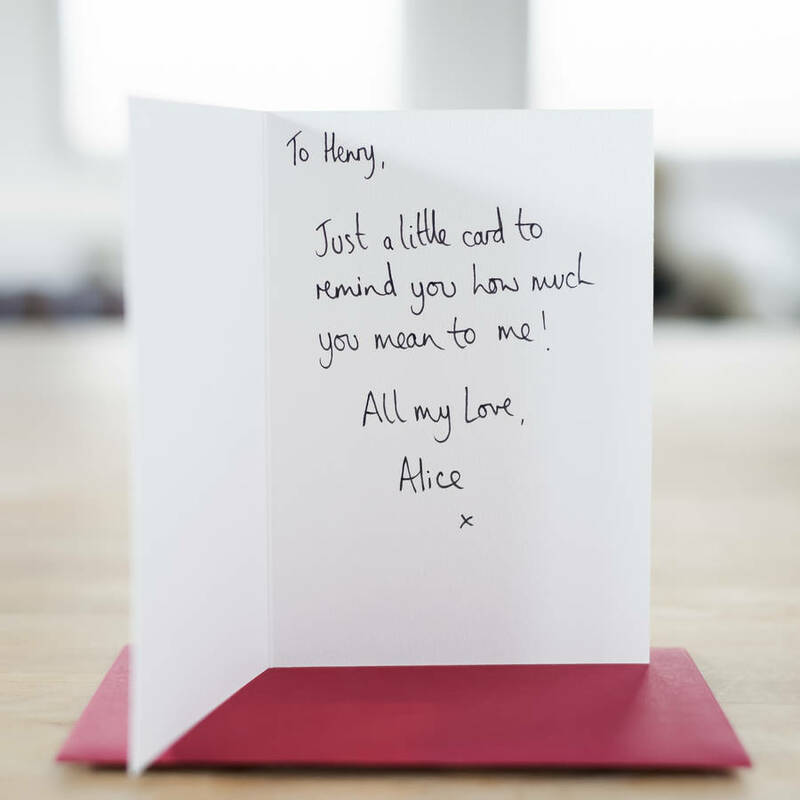 The card has been left blank for your own message, however it's also available to be sent directly to your recipient with a handwritten message of your choice. Cards will be sent by Royal Mail, with delivery date being estimated. You can choose to send this card directly to your recipient by selecting the 'send directly to recipient' option. Let us know your personalised message and we'll write it beautifully by hand inside. We won't send any paperwork to your recipient; we will instead email the delivery note for your records, upon request. Cards will be sent to the delivery address that you select at the checkout. If you're sending directly to your recipient, do make sure that the delivery address is that of the recipient. The sticker, displaying the recipient name and address, will be attached to the front of the red envelope. High-Grade Card, with a hand-pressed foil design and luxury red envelope. If ordering without personalised message, card and envelope are packaged in a cellophane bag to keep them in pristine condition.